On Monday morning ten special eggs arrived in each of the Y3/4 classes. These eggs contained 19 day old chicks. They came through a company called Living Eggs and they have provided us with all the equipment the chicks will need for the next two weeks. Monday and Tuesday were exciting as we began to see the eggs move and crack. Some eggs even began to cheep! When we came in on Wednesday morning some of the chicks had hatched! They were so cute. Now our classrooms are bursting with new life as we eagerly anticipate seeing a chick hatch. 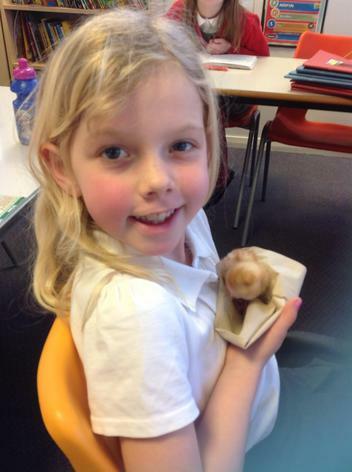 Please follow the progress of our chicks on our class pages.